When Dale Brown arrived in Baton Rouge, Louisiana in March, 1972, he arrived with a dream that was perceived by many who knew the LSU Basketball program as impossible. The dream was to make basketball a fan favorite in Tiger Country and to make it a nationally respected program as well. 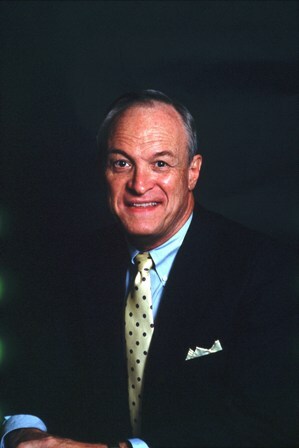 Dale Brown’s straightforward, determined approach, combined with his knowledge of the game, excellent recruiting skills, and his positive philosophy made his dream a reality. Equally amazing was his 25-year career as the Tiger’s head coach, winningest coach in LSU Basketball history. He also is the second winningest coach in SEC history. 104 of 160 of Brown’s players received their college degrees and those that attended LSU for four years had a graduation rate of 84%. He began his coaching career as a high school coach in North Dakota where he coached basketball, wrestling, football and track and field. He was an assistant coach at Utah State for five years and one year at Washington State before becoming the head coach at LSU in 1972. Brown earned 12 letters in basketball, football and track at Minot State University, making him the school’s only athlete to achieve that goal. In 1957 he received a B.S. degree from Minot State University and in 1964 he received a M.S. degree from the University of Oregon. Brown was a basketball coach for 44 years and now is a motivation speaker and author.